Links and link building – so important to successful SEO, yet so mysterious. PageRank vs. TrustRank… Recently, I was lucky enough to attend Jim Boykin’s fantastic session at SES San Francisco on link building and TrustRank. Boykin is founder of We Build Pages, a link building company in Clifton Park, NY. He shared his insights into how Google looks at links, and was the best free session at SES. This blog posts discusses some of the high points. Most of us who as SEO consultants or SEO Companies work with clients to improve their rank on Google, Yahoo, or Bing, emphasize the on page aspects of SEO. Good page TITLE tags, pithy and exciting META DESCRIPTIONS, keyword-heavy, well-structured content. Beyond the on page SEO factors, we usually talk a little with our clients about the importance of link building for successful SEO. I, for one, usually emphasize news and news syndication as one of the fastest and best ways to build links. With Google’s move towards real-time search, I have seen an enormous impact of having news and news links inbound to your websites. Others emphasize the Google concept of PageRank which is a measure of a site’s authority on the Web. Better, keyword heavy links from other websites that enjoy high PageRank is the Holy Grail of most link building. Boykin and his company, We Build Pages look at this problem, differently. He emphasizes what is usually called TrustRank. In a nutshell, Boykin wants links from trusted websites, for most practical purposes those with .edu, .gov, and .mil domain extensions. TrustRank assumes that the search engines value these domains more highly than the easy-to-get .com, .net, and even .org domains. It second guesses not just PageRank but the common sense authority of other websites. identify the target (client) keywords. identify the most trusted sites that dominate Google for those keywords and/or dominate adjacent searches (e.g., pool safety vs. swimming pools). Boykin’s target list is then the most trusted sites relating to his client’s target keywords. His method beyond that is to write quality, research-oriented, informative pieces and then solicit links from the university and governmental researchers who already have pages that are enjoying high Google rank for the target keywords. The theory is common sense and beautiful. But it is obviously a lot of work, and not cheap. You can find out more by clicking on Boykin’s picture above… Hey, Jim Boykin, you’re welcome for the link! As an SEO Consultant / SEO Company, I work with all sorts of clients. But many of my students are on very tight budgets, and need do-it-yourself advice. They probably can’t afford Boykin’s expense, although it is probably well worth it. Reverse engineer competitors, do your Google searches, and identify link targets especially those with high PageRank, then solicit links from them one by one. Many will be directories, but others will be blogs, portals and others that cover you and your keywords. TrustRank – as Jim indicates, go after sites that have .edu, .gov, and .mil extensions. Educational, government, and military sites probably do have more credibility with Google than others – but they also probably have better PageRanks. (The two are not mutually exclusive!). So identify and solicit links from these types. News. Use news and free news syndication for free, quick link building. Real-time search favors this method, but as Boykin points out, these links probably do fade over time. Link building is hard work, but it pays off. The more the merrier! SEO Books have become almost a dime a dozen, especially those being released for the Amazon kindle. The frustrating reality is that many books on search engine optimization are not all that great, and most suffer from a forest-for-the-trees problem: they overload you on data and details, and underwhelm you on theory. That’s one reason why I have published my own two books on SEO for students of my San Francisco SEO classes and/or my online classes in SEO. That said, here is my list of the best books for SEO, ever. SEO, or Search Engine Optimization, of course is all about getting to the top of Google, Yahoo, and Bing’s free listings. When a potential customer inputs target keywords into that infamous Google query box, does your company come up on page 1? Positions 1, 2, or 3? SEO is all about putting your website forward in the most favorable light, so that Google (and Yahoo and Bing) reward you with a top position in the search results. Keeping up with SEO is important to your business, it’s great that along with books there are things like seo ready editorial calendars to help your content marketing efforts. Theory of SEO – an overview to what SEO is, how search engines work, and the recommended ‘best practices’ to get your company to the top. SEO Tools, Tricks, and Resources – lists of the best (hopefully free) SEO tools, SEO tricks, and SEO resources on the Web. Most books – in my experience – overemphasize the details, and miss the big picture. And few give you lists of the best available online learning resources, though there are many. At any rate, here is my list of the best SEO books, ever. Search Engine Optimization for Dummies by Peter Kent. The BEST and MOST significant part of the book is his discussion on PageRank, Google’s special sauce that measures the ‘authority’ of pages based on incoming links. Mr. Kent explains ways to build your own site, that take advantage of PageRank, plus emphasizes that reciprocal links and outbound links are still valuable. This is contrary to the advice of many SEO people. I’m not sure I fully agree with it, but it is a provocative and interesting detailed approach to PageRank. Search Engine Optimization All-in-One For Dummies by Bruce Clay. The good – the book does have a lot of useful information. It is especially strong on the technical aspects of SEO, such as how fast your server responds to Google queries. This is a relatively new emphasis in SEO and one that many beginners are not yet aware of. His concept of siloing – putting like items into like directories is also a very good way to conceptualize how you should organize your website. But, like so many SEO books, the book suffers from esoterica fatigue. Too much information, too many details, and not enough clear “big picture” guidelines into what should be done when. As I have learned from my own SEO students, they often need a simple step-by-step guide to SEO, and need to prioritize their efforts. Yes, your server response speed is important, but getting your home page TITLE tag correct is even more so. I would recommend this book for experts and advanced SEO people. For beginners, Peter Kent’s SEO book is a better bet. 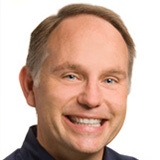 Sams Teach Yourself Google Analytics in 10 Minutes by Michael Miller. Mr. Miller takes the traditional book-as-manual approach to Analytics, and he largely succeeds. The book is part of the in 10 Minutes series, but by 10 minutes he means 10 minutes per day. The book begins with how to set up an Analytics account on Google, and proceeds chapter by chapter with some of the most important concepts in Analytics: using the dashboard, tracking visitors, analyzing top content, and even tracking AdWords and ecommerce. Pretty much every important topic in Analytics is covered. Search Engine Optimization: Your visual blueprintTM for effective Internet marketing by Kristopher Jones. Kristopher Jones has updated what is one of the landmark do-it-yourself books on SEO. I really hoped that the visual method would be more helpful than the word-heavy books that plague the SEO industry. That said, this book is also quite heavy on text and very, very light on theory. My students need simple step-by-step instructions that do not overwhelm them. Books are great, especially if you are a so-called book learner. Most people are too busy to learn from books, especially busy marketers and small business owners. It is often much, much easier to have someone ‘show’ you how to use the various SEO tools, as well as have someone ‘present’ to you the theory and practice of effective SEO. 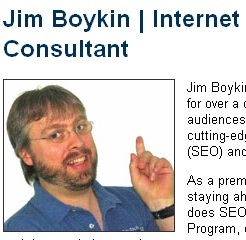 That’s what I try to do in my own SEO training, both in San Francisco and online for the JM Internet Group. The best way to try out that alternative method to a book is to start with my free introductory webinar on the Top Ten Free Tools for SEO. If you know of other amazing SEO books, please do email me!